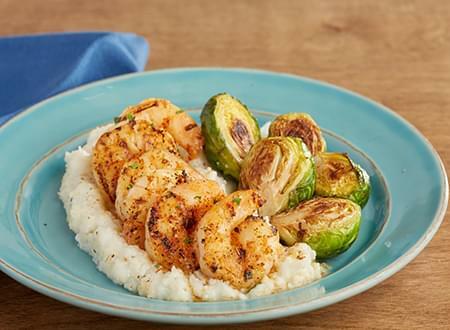 Jumbo shrimp sauteed with fresh herbs served over buttery Parmesan cheese grits. Classic southern dish at its best!! SHRIMP, GRITS, PARMESAN CHEESE, MILK, WATER, BUTTER, CORIANDER, SUNFLOWER CAJUN SEASONING, BLACK PEPPER.